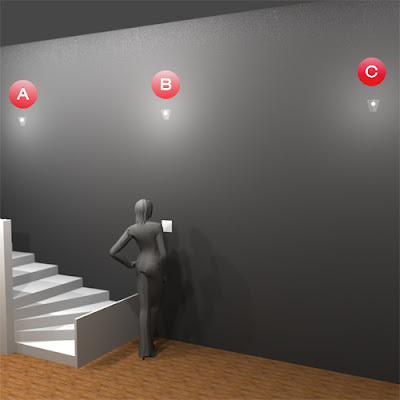 Its quite natural to have multiple controls when you have illumination in every corner, but if you aren't aware which one corresponds to which light, then you need to on and off all the lights to find the right one? Which again suggests one control for one light is a basic requirement? Wrong! Here is where graphic designer Funamizu's unique interface comes into picture. 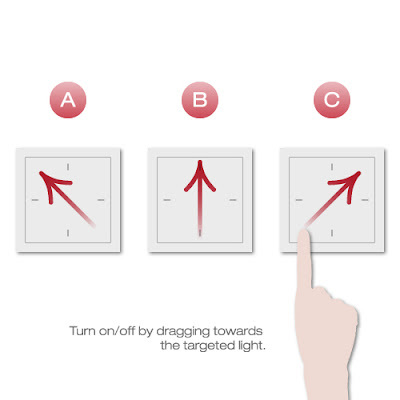 It's a touch-sensitive board where you can control every light separately by sliding your hand to the lights' direction; it controls multiple lights with only one touch-sensitive board. 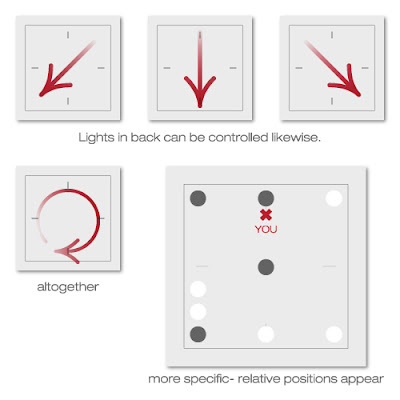 And if you want all lights on/off simultaneously all you need to do is to move your hand in a circle on the board.